家有女娃的看过来， 现在 Amazon 这种芭比娃娃 Barbie Club Chelsea Flips & Fun Skate Ramp Playset 半价打折后 for just $12.97 (regularly $24.99)! 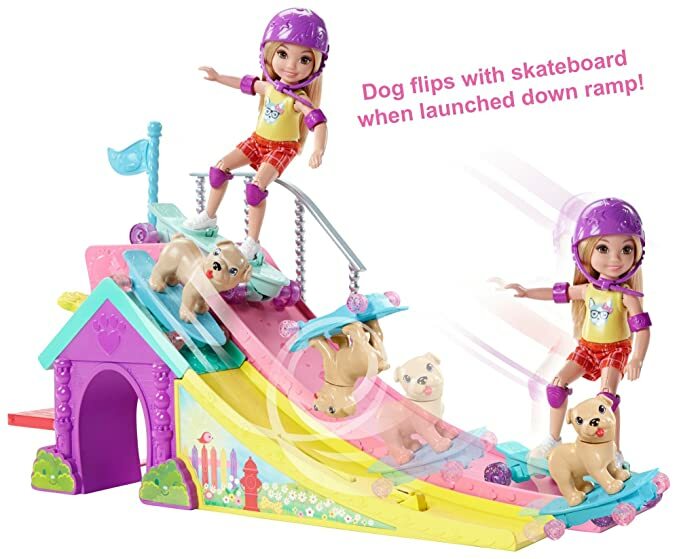 This playset features Chelsea and her puppy who can both skateboard, two ramps with a dog house under one. Chelsea doll and her puppy each has a colorful skateboard with wheels that roll and work with the skate ramps for stunting action!